Say goodbye to your charred onion. 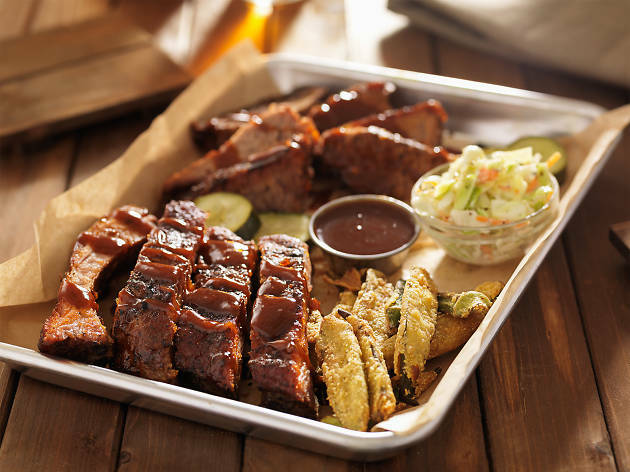 Barbecue American-style is cooked low and slow in king-sized smokers that infuse the meat with smoke while cooking it softly, resulting in fall-apart tenderness and full-on flavour. Sure, Australia has our own, very different barbecuing traditions, but all over the country Aussies are coming around to the Southern style of doing things. 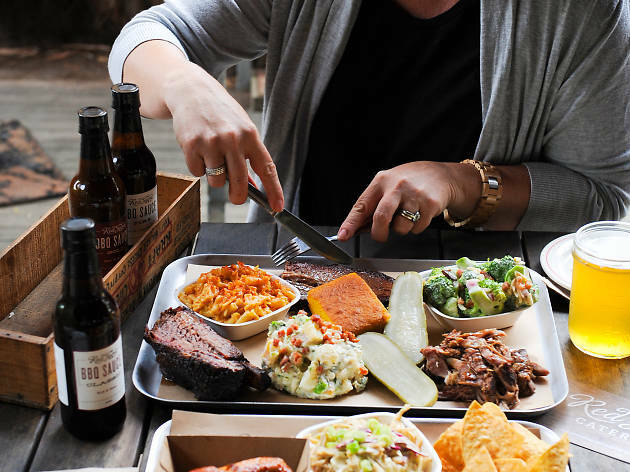 And we don’t mean Victoria, South Australia or Tasmania (though you’ll find great barbecue in all three states), we’re talking Tennessee-style. 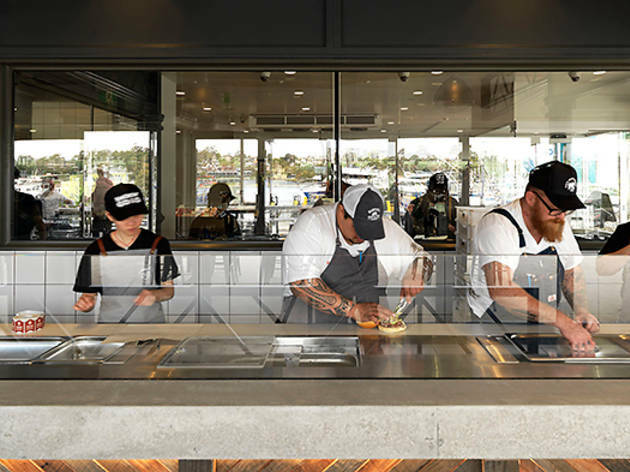 Low and Slow has come a long way from their food truck days. Now they’ve scored themselves digs in the best bit of the already buzzy Port Adelaide. It’s a messy feed (sorry first dates and white shirts), and it’s often packed, but plan ahead and be rewarded. 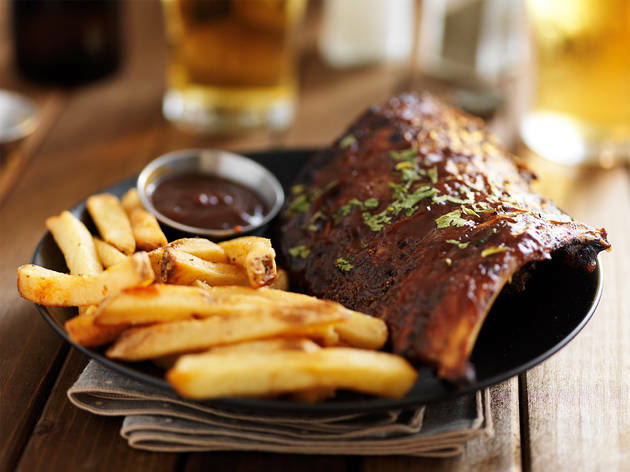 The menu includes ribs which have developed a cult following amongst Adelaidians, plus beef brisket, pulled pork and the standout in our eyes: hot wings with blue cheese sauce. If you can’t pick, order the banquet. 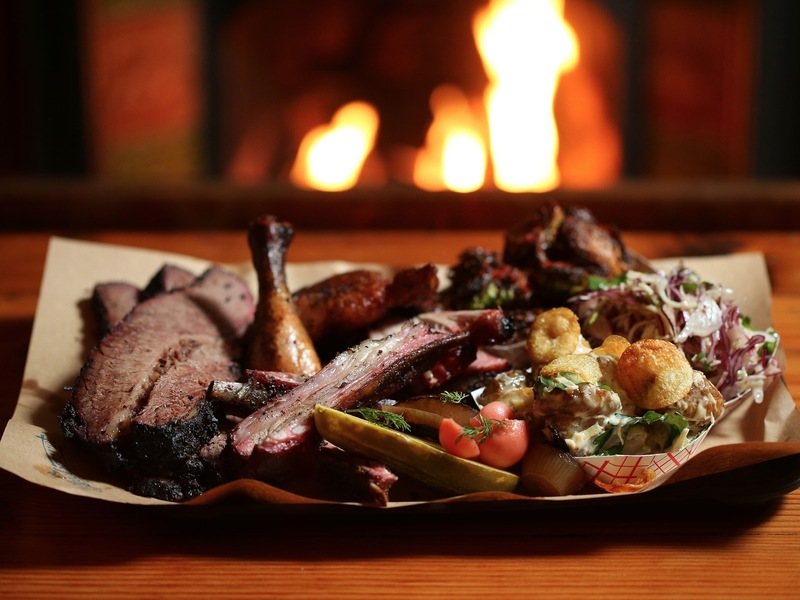 At $35 per person, you’ll get to try all the meats and a variety of down-home Southern sides like mac’n’cheese, tater tots and collard greens. Salivation will be impossible to stop. 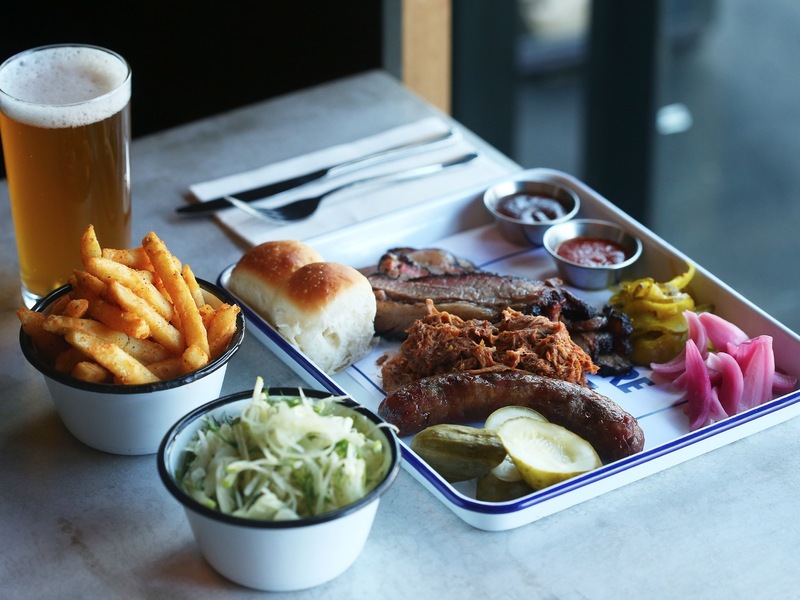 The décor in this barbecue joint, tucked into the corner of a pub, is what you’d describe as American junkyard chic – worn plank doors serve as tables and rusty old bits of power pole act as light fittings. Meanwhile, the food is epic. Various smoked meats are texturally perfect, and like most barbecue places, come by the 100g portion. The meat ain’t cheap, but you can make up the difference with huge servings of the best sides in town like beetroot, barley and dill salad; giant deep fried McClure’s pickles; miso-sweet Brussels sprouts; or apple, red cabbage and kohlrabi slaw. Bring friends, it works best here when you’ve got a big group to divide and conquer. Fancy Hank’s nails the true American vibe better than almost any venue in Melbourne. Most people will be here for the excellent barbecue, and having tested a lot of smokehouses around town we can say these guys nail it. You can also get specialty choc tops and cocktail jugs. The other drawcard here is the abundance of outdoor space among the greenery of the courtyard, out on the open rooftop or on the huge balcony overlooking the markets. 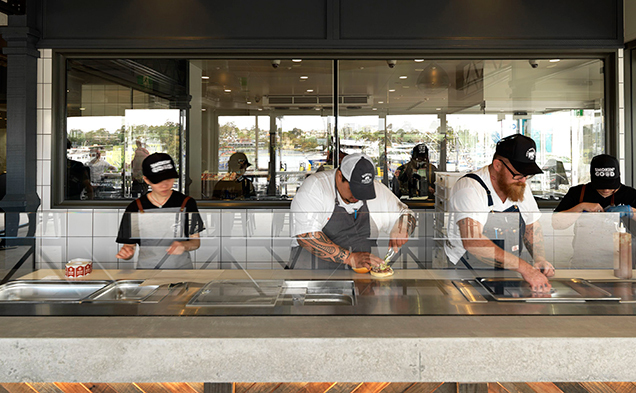 Fourth generation butcher Anthony Puharich has opened a two-part venture (butcher shop and sandwich shop) at the Sydney Fish Market. Selling the very thing people aren’t here to buy would be a cause for concern for anyone, but the beef baron isn’t fazed. Perhaps it’s because he has ‘Kong’ the smoker by his side. 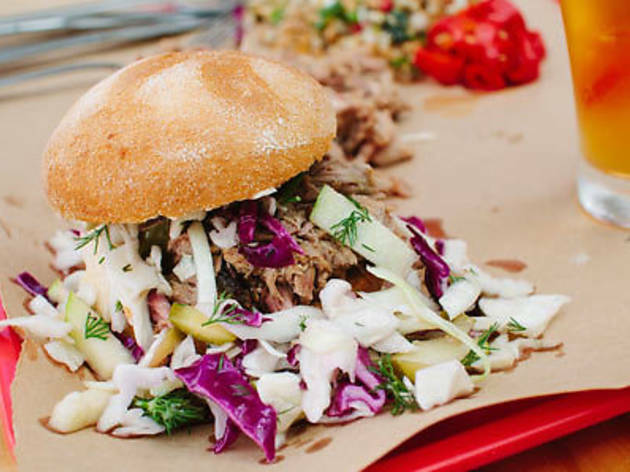 Their pulled pork sandwich falls apart in rich smoky shreds, cut with a vinegary coleslaw, while the brisket is fatty and tender. Not into gluten? They also offer smoked meat and side salad options, so you can feel at least five per cent healthful while you order. 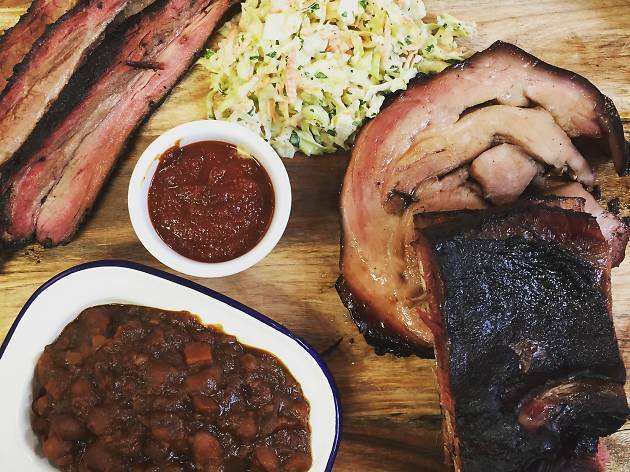 The Winston is also where you’ll find Hobart’s best barbecue. Co-owner Caroline Kiehne was born and brought up in Baltimore and her influence is evident in the diner-style menu. The pit beef sandwiches, Buffalo wings and baby back ribs are all excellent. Daily specials range from jalapeno poppers to pecan pie and Maryland-spiced blue swimmer crab. 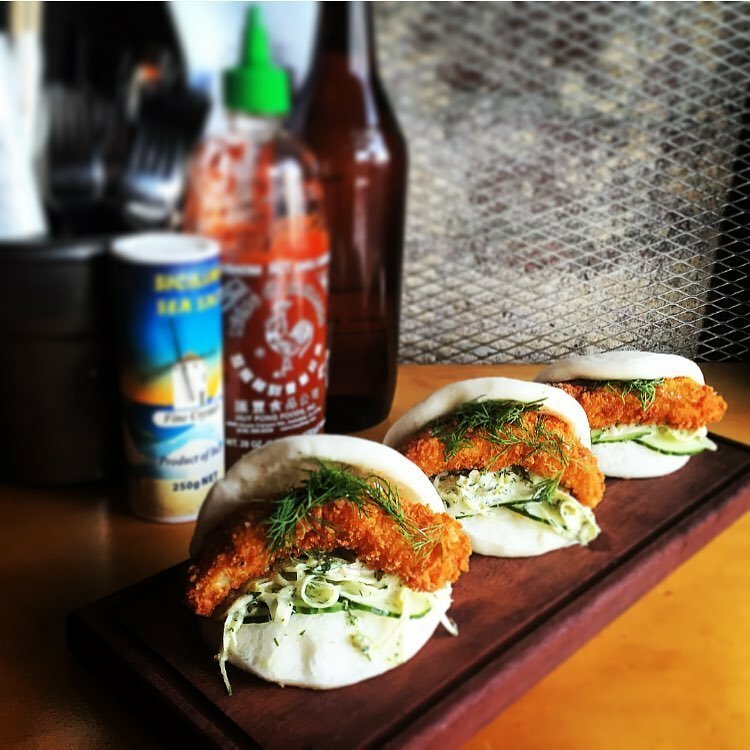 It’s serious comfort food done exceptionally well. At Footscray’s American barbecue restaurant we always start with dessert, specifically the banana cream pie. Once you’ve had that, it’s all about the barbecue – specifically a $20,000 barbecue that sits like a jewel behind a glass window. Burgers, salads, sandwiches and tasty snackettes populate the menu, and when the clock hits 6pm, the smoked meats come out to play. 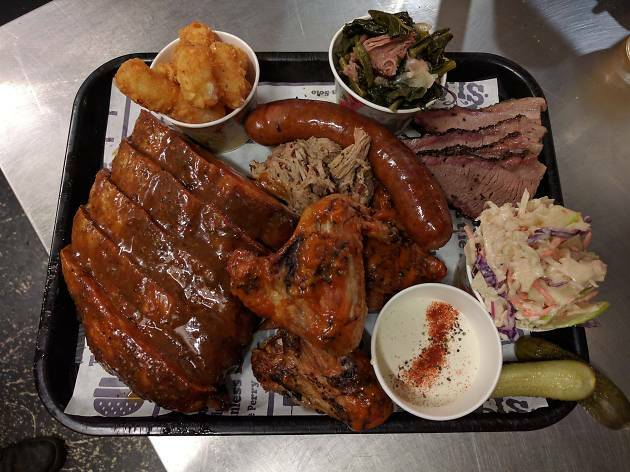 Order ‘The Big Tray’ at dinner, which comes with three different meats: a happy pile of sweet pulled pork, a pleasingly hefty jalapeno-and-cheddar sausage and shimmering beef brisket slices with a hint of smoke and a nice layer of fat. 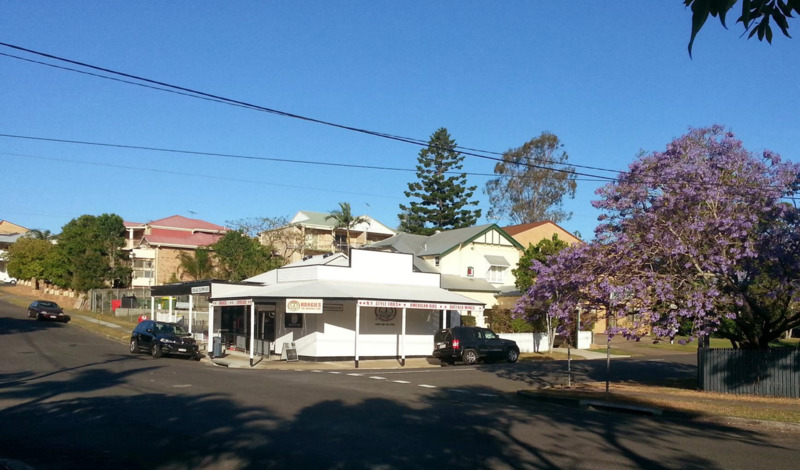 You might find that a jaunt down Enmore Road has smelt a little different of late. Has somebody lit a bonfire? Nope, but the guys at Bovine and Swine Barbecue Company are smoking meats long and slow all day long, and that smoky, caramelly scent is all part of the service, baby. 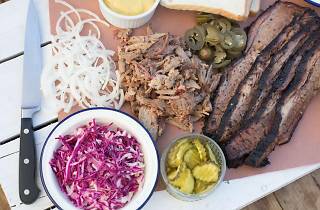 They do brisket, pork rib and beef short rib, as well as chopped pork or lamb, sausages or chicken. Get in early, because they tend to run out of favourites fast. Get the beef short rib - it’s blackened to hell and back on the outside, the salty, crackly crust giving way to tender, unctuous meat. A side of fresh, crisp slaw is all you need with something this rich. 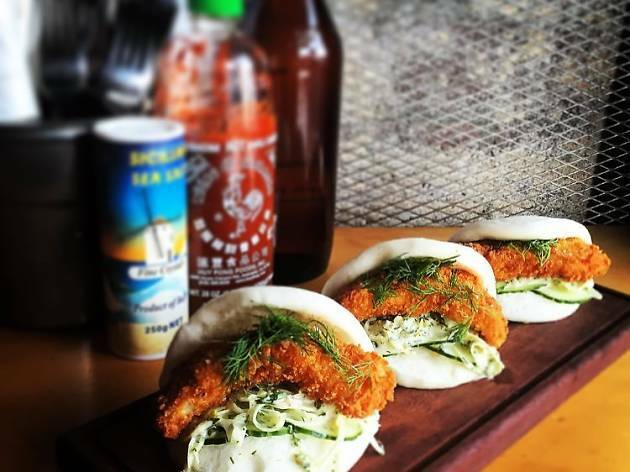 There's a whole lotta lip smackin' and finger lickin' going on at Mike Perry's neighbourhood diner in the back streets of suburban Coorparoo. The ex marine and short order cook calls his menu of hoagies, hot dogs, fries, Buffalo wings and ribs, "food for the soul". The star-status dish is Aunt Lilly Mae's tender, slow-cooked pork ribs – they require just the right amount of tug to pull the meat clean from the bone. These beauties take their name from Perry's dear Aunt Lilly, whose treasured recipe comes dripping with sticky, smoky, saucy goodness. 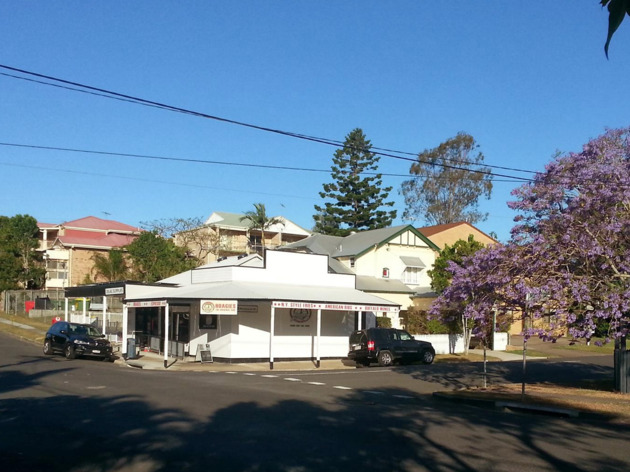 Drive around Red Hill at the weekend and there’s definitely something in the air – something smoky, meaty, irresistible. It happens to be Martin of Red Gum BBQ and his four metre-long Texas offset smoker. He’s been manning it since the wee hours, watching racks of glistening ribs, perfectly barked brisket and soon-to-be-pulled pork – all free range and local – go low ‘n’ slow (just like the pitmasters in America’s deep south taught him). 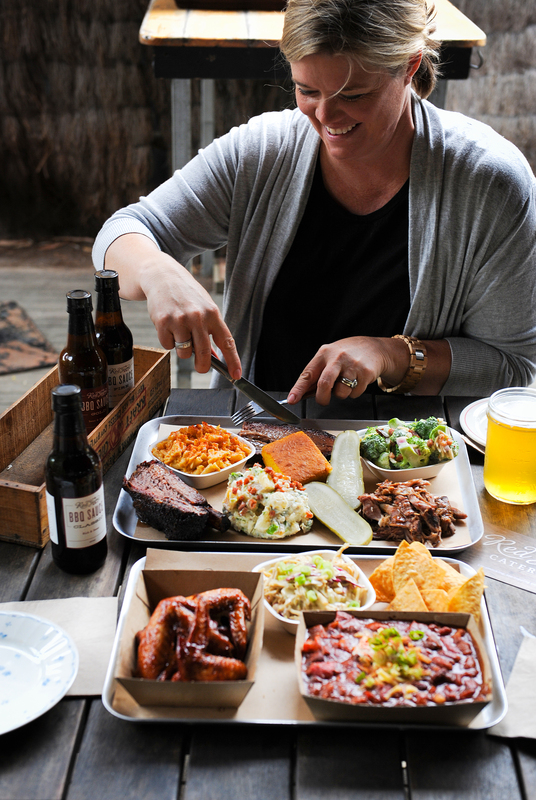 Come November 2016, Red Gum’s own BBQ joint opens in a nearby converted mechanic’s warehouse so get ready to roll up your sleeves and pile a tray with meat that falls off the bone, mac ‘n’ cheese, crunchy pickles, golden cornbread, creamy slaw and broccoli salad, in which even the mayonnaise is homemade (using real eggs, natch). 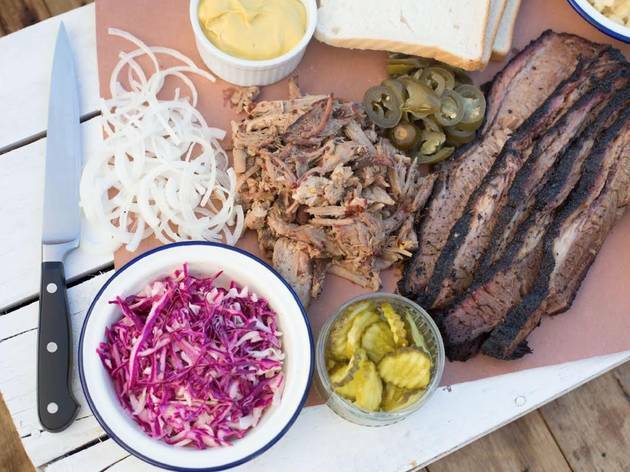 Grab a bottle of house-made BBQ sauce or a second-hand Southern BBQ cookbook on the way out. 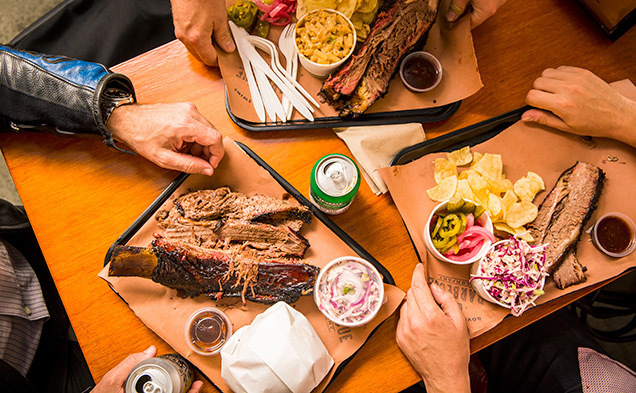 Pleased To Meet You is an “indoor food truck,” and they serve up top-notch barbecue. Open late every night of the week, their mess hall dining room is always buzzing – keep an eye out for the pig roasting on a spit in the kitchen. Snap up some of that suckling pig or PTMY’s barbecue Angus steak, and pair it with cornbread and maple butter or watermelon salad. Top it all off with a serving of delicious s’mores. 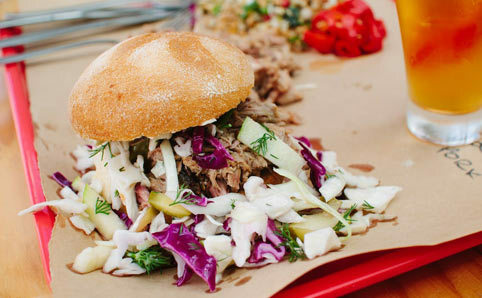 A barbecue joint on wheels cruises Brissy's streets with a pit boss on board serving pulled pork and brisket. This joint is the shiz. Bark-clad brisket comes in a roll with trimmings of cheese, pickles, slaw and house sauce, or as part of a barbecue plate. After travelling the USA, Brent Poulter started messing with barbecue techniques and has come up trumps. Using Cape Grim beef from cattle fed on lush Tassie pastures, the cut is salt and pepper dry-rubbed and housed in his American smoker over hickory or mesquite wood for 12 long hours. 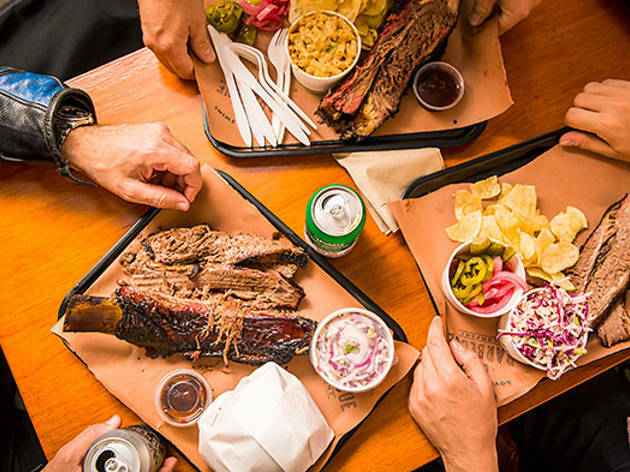 If you're fixin' for barbecue brisket, this joint is the place to find it. Step inside the rustic interior of Old Faithful and get ready for some quality American BBQ. 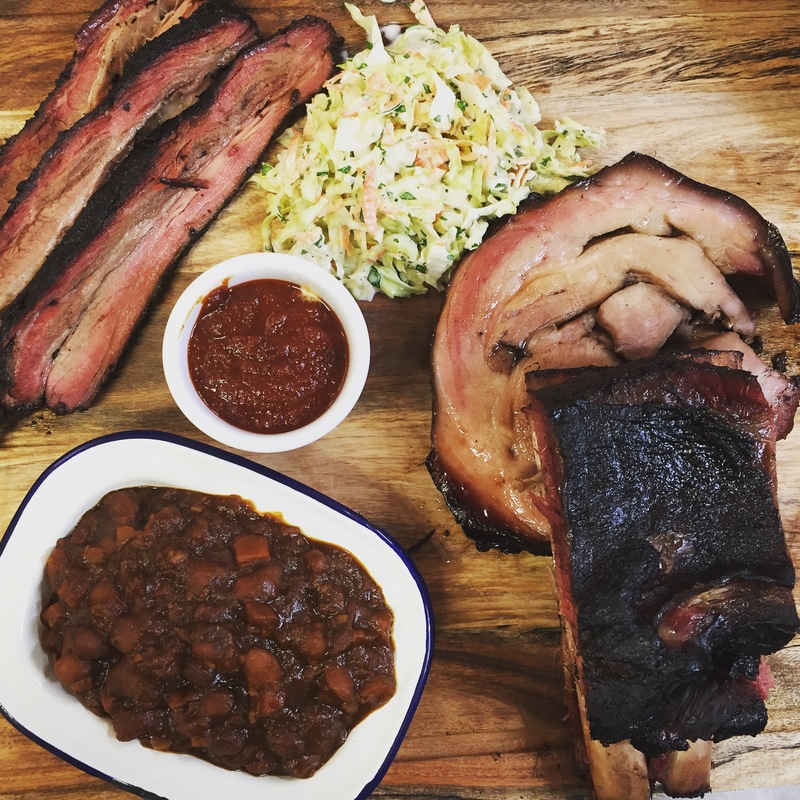 The meats here are all prepared and smoked in-house; rubbed with an expert blend of taste bud-tempting spices. Pick up some of their pig belly, ribs, beef brisket, or delicious chicken wings. Their watermelon salad with jalapeño and lime cream is a must-have. Still got room for dessert? Old Faithful’s got s’mores, banana stout cream pie, and mudcake with honeycomb.